You might be wondering why no matter how hard you work and how many hours you put into your sports training, you’re not getting the results you need. You're constant with your workouts, eating nutritiously, and looking for ways to make your sports training more effective. You might not notice it, but there are plenty of mistakes you can be making that can hinder your results. Here are some things you need to look out for to get the results you expect. You probably make a lot of mistakes in the hope of optimizing your training session. In reality, you’re only making your session inefficient. These are some of the things you shouldn’t do to get the most out of your training session. Eating big meals before working out: You need food to give you energy so you can push through your training, but you shouldn’t go for a full meal right before it. Big meals before a workout can make you feel nauseous or cause cramping. Instead, eat a healthy pre-workout snack. Save your full meals for three hours before your workout. Not having a plan: Heading to the gym without a plan is not a good idea. You’ll only end up doing what you find comfortable and always do. Make a plan to reach your goals, or hire a personal trainer to help you outline it. Following the same routine: After a while, your body gets used to the exercise, and your training becomes less effective and boring. Your body needs new challenges, whether it is adding more weights and doing fewer repetitions, or trying something different on the treadmill. Try to switch things up regularly. Drinking too much water: You need to hydrate during a workout, but only do it in small sips. Drinking too much water, just like eating a full meal can cause cramping or nausea. Too much cardio: Cardio will help you burn fat, but overdoing it can lead to injury and muscle loss. Training alone: There’s nothing wrong with training alone, to a certain extent. When you train alone, you’re most likely to quit earlier or make a minimal effort. A partner or a coach can help you feel motivated and push through your sports training session. If you’re interested in the benefits of having a sports training expert to help you reach your athletic goals, you need to call Athletic Republic of Orange County at (714) 972-2762. Ask them for a free session to see the difference in your training session. Doing weak reps: Another reason why you need a trainer is so that you don’t do weak reps. Poor form and minimal effort won’t get you where you want to be, and you might get hurt in the process. Go big or go home. The habits that you have after your workout also affect your sports training results. Here are some of the things you should be looking out for. Skipping the cooldown: Your body needs to recover after a good workout. Don’t skip the cooldown do some stretches or light cardio. It will help you recover faster and prevent injuries. Going protein crazy: Yes, you need protein to get bigger and stronger muscles, but overdoing it is not going to help. Research proves that when you consume more protein than what you actually need, your body stores it as fat. If you want to get that dream body, you’re better off planning your meals to meet the correct amount of protein. Not drinking enough water: If you’re an endurance athlete, this is especially important to you: you need water. You can sweat out pounds of fluids after an intense session. That’s a fact. Try weighing yourself before and after your session to see the difference. For every pound you lose, you need to replenish that by 1.5 times. You also need to replace your electrolytes so eat some fruit, drink juice, milk, or a sports drink. Proper hydration is imperative to your health and sports training, especially during the coming hotter months. 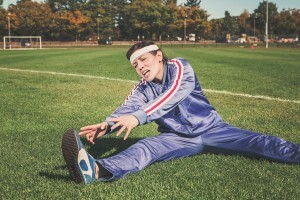 Not resting enough: You’re working hard to meet your sports training goals. Working hard every day will get your there, right? Wrong. You need to give your body some time to recover. Not resting enough can lead to poor performance, injuries, fatigue, and even depression and anxiety. Talk to your sports training expert about the importance of recovery after your training session. Resting too much: On the other hand, resting doesn’t mean you get to spend all day relaxing and doing nothing. Rest days should be for doing a lighter physical activity to reduce the risk of overtraining. Call Athletic Republic of Orange County at (714) 972-2762 and talk to one of their sports training experts. They will help you make your training more effective.